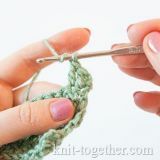 The pattern is made of the half double crochet and the single crochet. 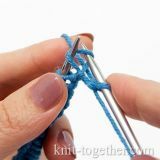 The fabric strongly stretches vertically and to a lesser extent horizontally. The fabric is soft and plastic. 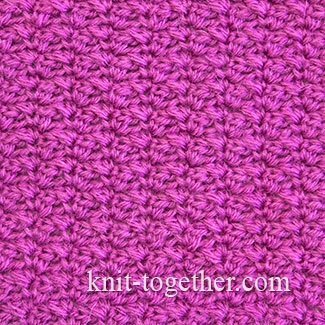 This pattern has fine fabric texture and has not a pronounced direction of the pattern, it is similar to a fabric. 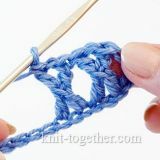 The repeat (rapport) of the pattern - 3 loops by width and 2 rows by height. 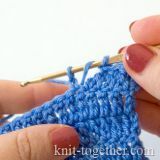 For the sample of pattern make chain stitches a multiple of 3, plus 1 chain. 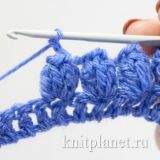 2 row: 1 turning chain, * 1 chain, 1 single crochet and 1 half double crochet in loop of single crochet of the previous row *, 1 half double crochet in turning chain of the previous row. The 3rd row and all next rows are made as the 2nd row.